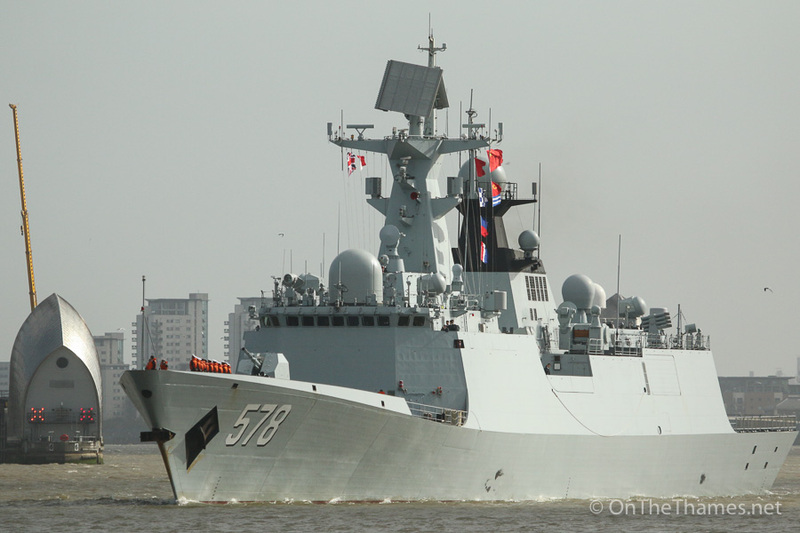 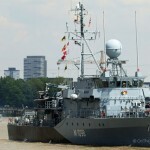 TWO frigates from China's People's Liberation Army Navy sailed up the River Thames today. 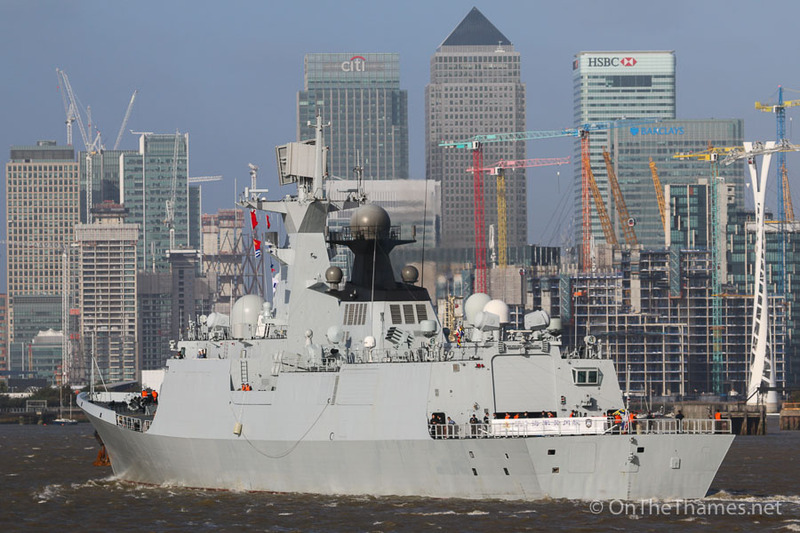 The Type 054A ships Huanggang (577) and Yangzhou (578) arrived at West India Docks and they will be followed this evening by the 18-month old Type 903 replenishment ship Gaoyouhu which will go in to the Royal Docks. 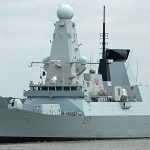 Just an hour separated the arrivals this morning of the 135 metre long frigates which both carry HQ-16 medium-range air defence missiles and various anti submarine rockets in a vertical launching system. 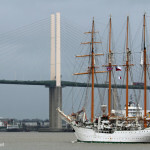 The port visit to London comes soon after a similar visit to the port of Antwerp. 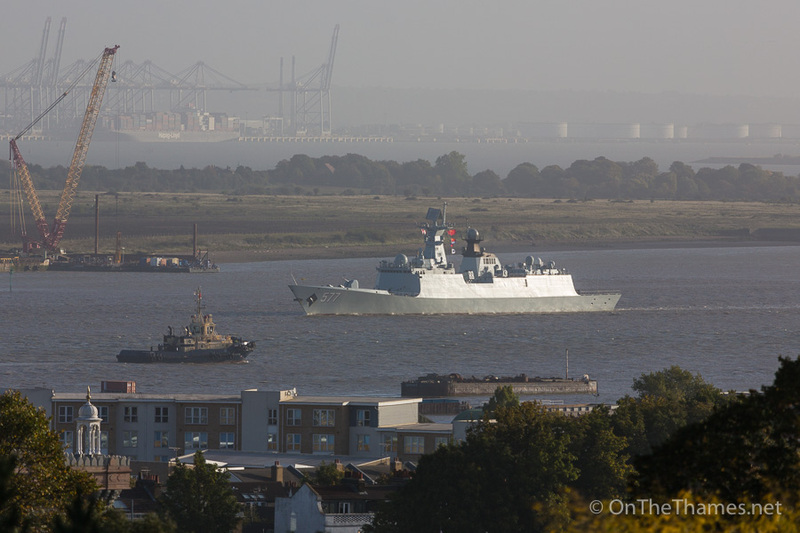 Morning sun caught the side of the 2 year old frigate Huanggang as she approached Gravesend this morning. 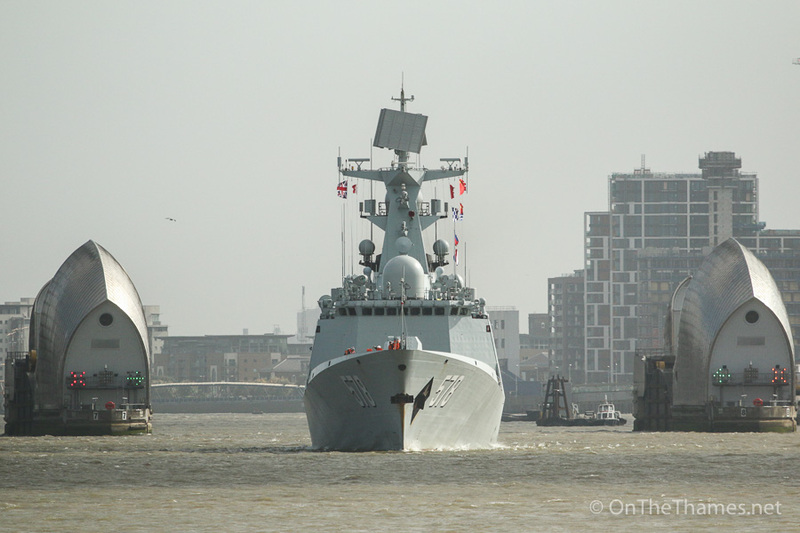 Huanggang approaches the iconic Thames Barrier on her first visit to London. 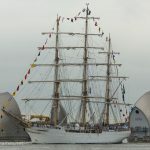 Huanggang has Canary Wharf in sight as she nears her destination at West India Docks. 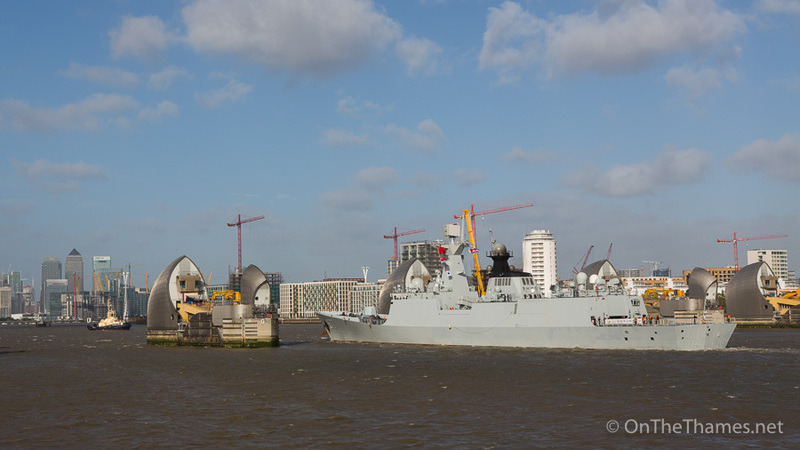 Yangzhou followed her sister ship up the Thames an hour later, passing through the Thames Barrier about 11am. 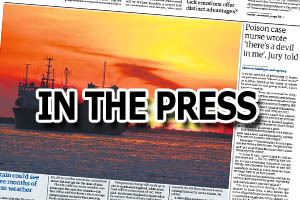 No details of any public access to the ships has yet been. 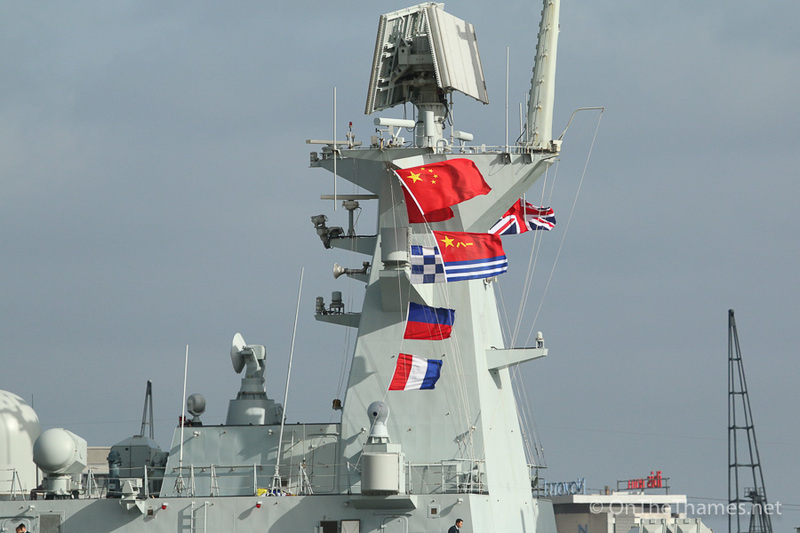 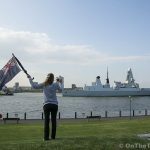 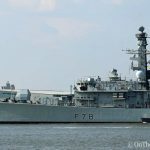 When are the Chinese frigates due to leave East India Docks?